Believing the end of the world is nigh is deep in the thoughts of every generation: The Rolling stones busted out ‘Gimme Shelter’in the 60’s; Elvis Costello lamented that he was ‘Waiting for the end of the World’ in ’77; REM’s catchy ‘It’s the end of the World’ in the 80’s; and where else on the planet do we party like its ‘1999’ (Prince)? 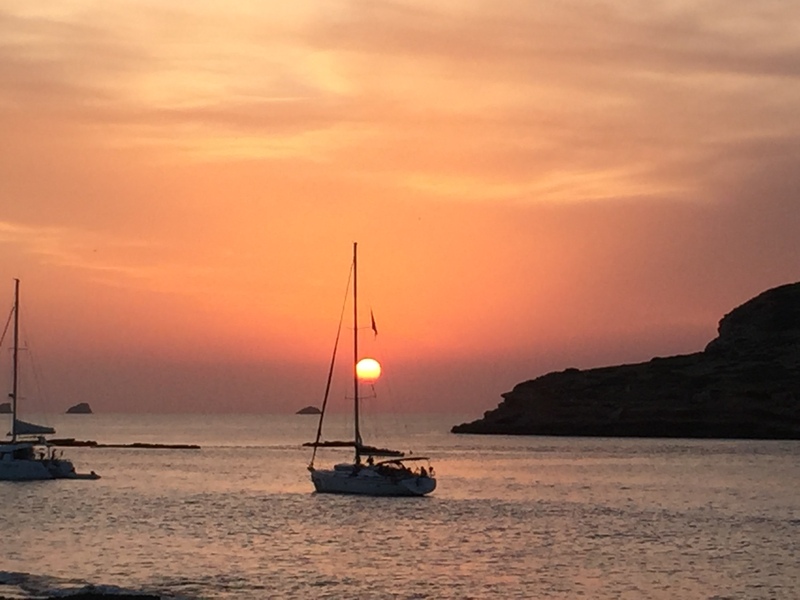 The beautiful white isle – Ibiza – of course! Back in the 15thCentury, French Astrologer and Physician Nostradamus predicted that when nuclear disaster wipes out most life on Earth, the peculiar prevailing wind patterns over Ibiza will ensure that it is the only remaining life-supporting environment! Most people’s first thoughts of Ibiza are hedonistic parties, superstar DJ’s, jaw dropping women villas and world class narcotics clubs. The best kept secret though, is, the mystical island is so much more than that. 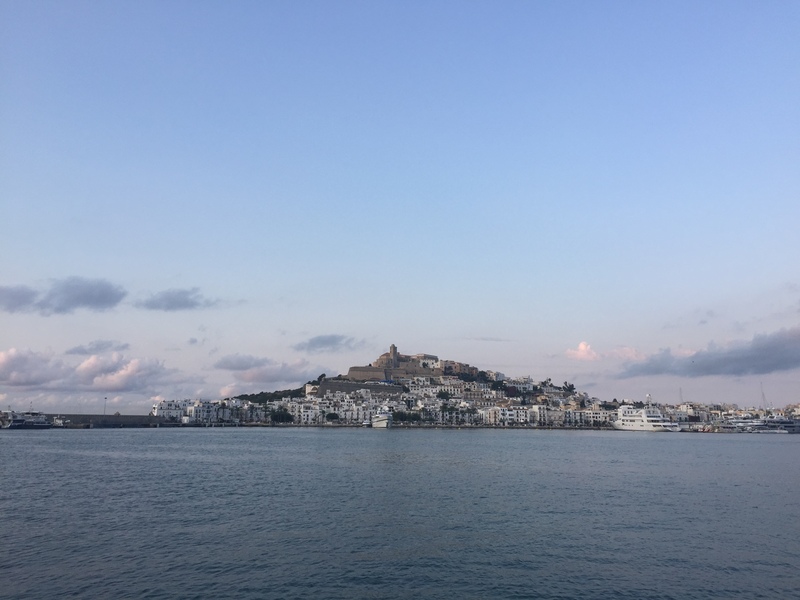 Ibiza has always been an international hub attracting visitors, traders and invaders due to the most important mineral in history, diamonds salt. The fabulous old forte in Ibiza old town is recognised as a Unesco World Heritage Site. It stands proudly as the islands protector with its thick walls and multiple watch towers. The Ibicincos – the name given to local inhabitants -have tolerated centuries of foreigners making home here and today, they still fiercely protect their land, by passing farms and commercial properties down through family generations. But let’s not get too commercial and bring it back to the spiritual side of the island! Mystics say that it is not you who chooses Ibiza, it is Ibiza that chooses you. Like a magnet, the energy of the place attracts all types of people and those that find the energy too much will be catapulted off the island in one way or another. Are you one of the chosen people? One of those low key, effortlessly stylish, cool creatives? A forward thinking, experimental, experiential kind of being? Well, it is likely you are a BoBo, (Bourgeois Bohemia) and perhaps reading this in a coffee shop in Amsterdam. No doubt I am preaching to the converted and you are quite likely already a well-seasoned visitor to the magical island. But hey Bobo! I bet you haven’t heard of the theories suggesting Christopher Columbus was born in Ibiza? According to historians, his mother tongue was undeniably Catalan and some of the words in his writings are exclusive to Ibicenco vocabulary. 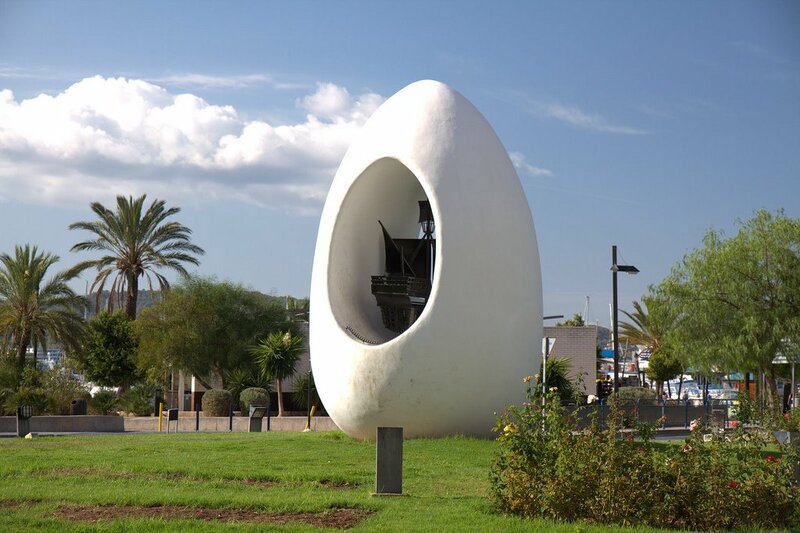 In order to lay the stake of the world’s most prolific explorer, look out for ‘The Egg’ statue on a roundabout in San Antonio which represents the egg cracking story of Columbus hustling for funding for his route to the West Indies. Have you heard of Es Vedra? This stunning uninhabited crystal rock standing approximately two miles off the south-western side of the island has such a powerful magnetic field that it renders compasses useless. It is said to be the third strongest magnetic point on the planet after the North and South poles. Did you know that West London also has those same powerful geo magnetic streams running through it? This could explain the creative energy of people living in these places: it is no coincidence that Domus Nova feels so at home in both locations. Ancient Greek mythology surrounding Es Vedra also includes that it was the home of sirens and sea-nymphs who tried to lure Ulysses from his ship in Homers, Odyssey. And some say it is also the tip of the sunken city of Atlantis and birth place of the goddess Tanit. 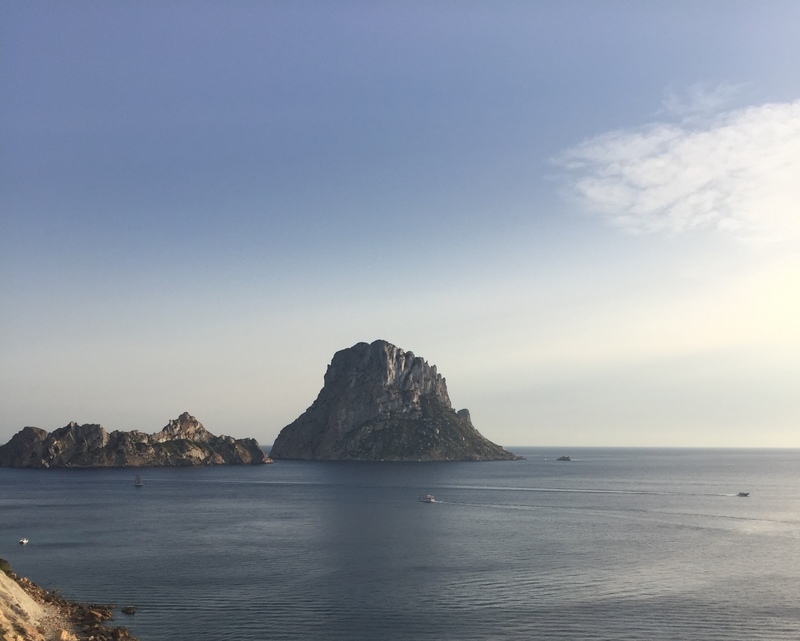 What I know personally is that taking a drive to the edge of the island to marvel at the view at this high vibrational view point of Es Vedra will melt away your worries and city stress. For a more tangible ‘energy’, the more adventurous explorer can seek out Tanit’s cave in the northern part of the island, located in a remote wooded area on a hill in San Vincente, ‘Cove Des Cuieram.’ Tanit is the mother goddess of sexuality, fertility and death. Ritual dances still take place here to worship the spirit of this Goddess. Hence the energy of the island in the north is more feminine: it is more tranquil, calm and soft and this is echoed in the rustic earthy nature of the northern part of the island. In contrast, the south is characterised by masculine energy of being busy, thrusting and hustling which is where most of the super clubs and chi chi venues are located. A different kind of spiritual dance event can be found in DC10: you will most likely leave more high than enlightened: but you can reach similar life transformative effects. 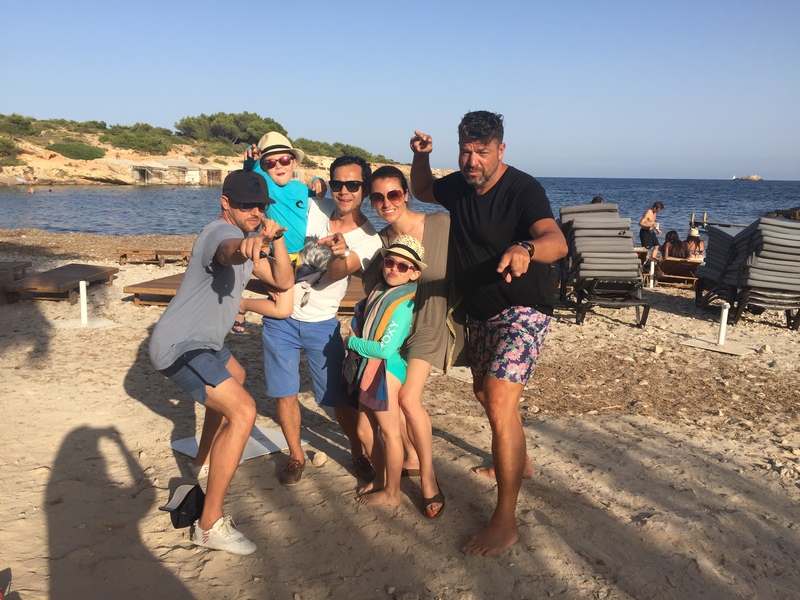 Apart from that hustling, thrusting masculine energy in dark nightclubs, no dangerous or aggressive plants and animals exist in Ibiza. The only thing you will have to be aware of is the fellow human and unpredictable Mother Nature of course. Mother nature has certainly blessed Ibiza. This small island boasts over 80 beaches to choose from where you can hike the cliff’s, take in the breath-taking scenery of undulating wooded hills and the changing blues in the sea and sky. 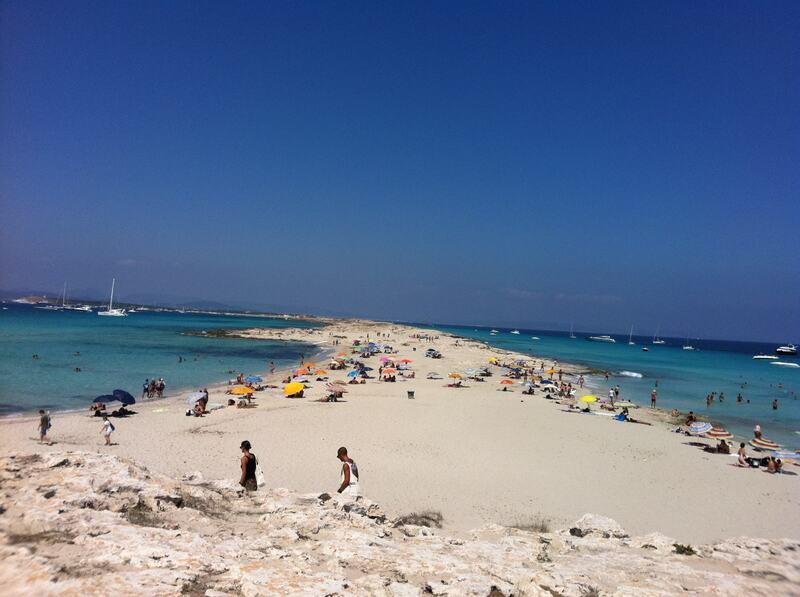 A short boat ride will transport you to the island of Formentera, where the turquoise ocean and white sands will make you think you have arrived in the Caribbean. Ibiza’s rich red fertile soil in the campo provides delicious organic produce and many restaurants serve farm to table ingredients naturally seasoned with their famous salt. The variety of food genre’s will leave the foodie aficianados spoilt for choice. This is Ibiza! It offers such a diverse amount of choice for all types of people, for all ages and stages of life and often surprises people with the family friendly vibes not normally associated with the hedonistic reputation. There really is very little that this breath takingly beautiful island with a deep-seated history and a strong culture fails to offer. Perhaps there has never been a better time to invest in property in Ibiza?